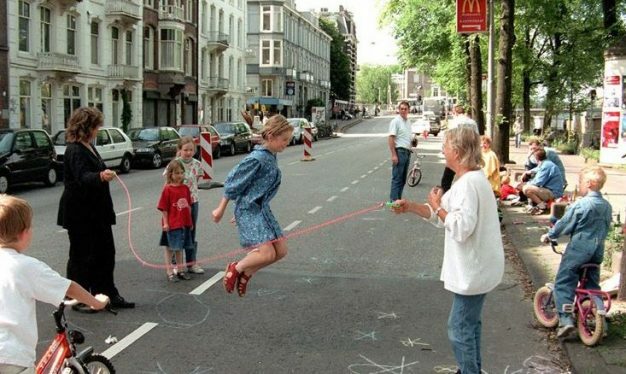 This is the first in a three-part series by the Canadian urbanist and writer, Jillian Glover: “Cities for Children and Families”. 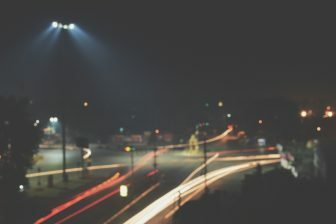 The series will showcase how local governments, non-profits and developers, in Canada and around the world, are working to create child and family-friendly cities. This first article in the series spotlights local government, examining how the City of North Vancouver is working to achieve this goal. As a public health nurse, Linda Buchanan has been an advocate for children and families her entire career. But it was only a few years ago, when she was elected to the Council in the City of North Vancouver, that she was able to bring their issues to the forefront of her community and motivate the City to develop it’s first Child, Youth and Family-Friendly Strategy. Linda was familiar with the work of Dr. Paul Kershaw, founder of Generation Squeeze, and the late Dr. Clyde Hertzman, founder of the Human Early Learning Partnership. 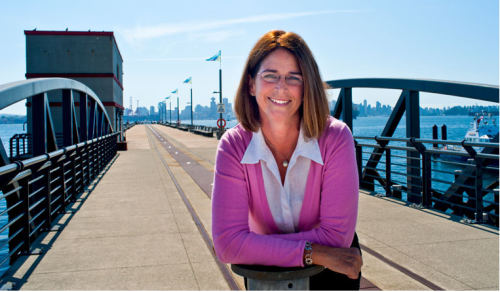 Their ideas inspired her to develop a charter encouraging the City of North Vancouver to examine how it supports early childhood development and working families. 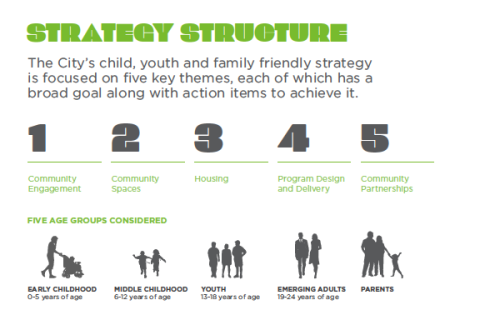 With a clear goal of improving childhood wellbeing, Linda was elected to City Council and put forward a series of motions that led to the CN4Me Strategy, a new Child, Youth + Family Friendly Strategy for the City of North Vancouver. 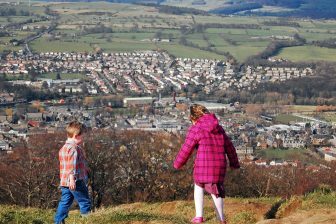 The strategy, developed after surveying over 1000 residents, places families at the heart of all City decisions. 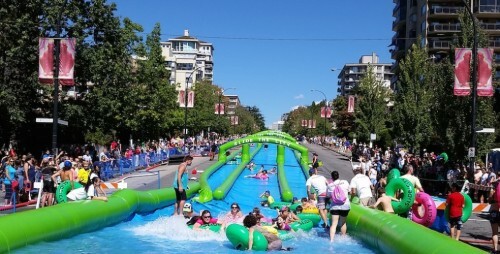 According to the Strategy, 25% of residents in the City of North Vancouver are under the age of 25, which suggests that focusing on their wellbeing within the city can lead to exciting opportunities to enhance community cohesion, nurture future leaders and grow their sense of community ownership. The strategy also focuses on the role that other organizations play in supporting healthy development. As a result, a CNV4ME Task Force formed with members from the library, RCMP, parks and recreation, and other groups that will ensure the action points of the strategy are implemented. The CN4Me Strategy has five themes: community engagement, community spaces, housing, programming and services, and community partnerships. The first goal of “community engagement” focuses on increasing opportunities for children, youth, emerging adults and families to become involved in shaping their community. In order to achieve this, the City began working with the Society for Children and Youth Society of BC on a tool that allows its departments to look at all of their programs through a child’s lens. When the City was working on the Green Necklace, a walking and cycling path that encircles the urban centre, they invited children to get out on the proposed path with cameras to take pictures and develop potential ideas for what it could look like. Similar work was done with the City’s housing strategy, where children were asked to participate and draw what they love about their home. 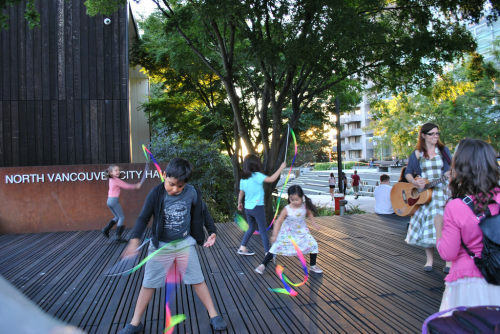 Bringing children and families into the planning process as part of the CNV4me Strategy has led to several projects aimed at making North Vancouver fun, safe and even affordable. 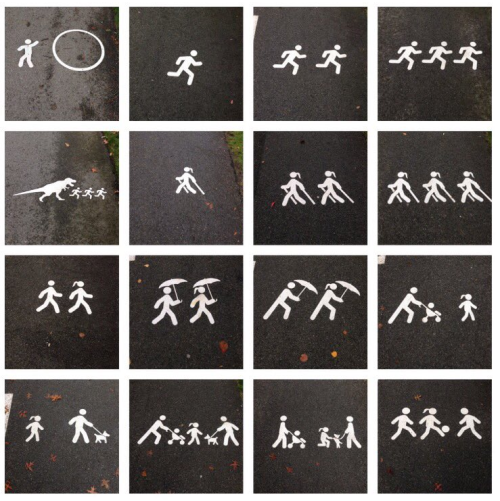 Playful public art is showing up along the City’s sidewalks. I discovered this while walking along the Green Necklace a few weeks ago and seeing some of the 200 funny figures painted on the asphalt. The work, called “Whatever the Weather” by Mia Weinberg, borrows images from the familiar vernacular of figures in circles commonly seen in street signage. There are other whimsical additions to local infrastructure and public art, including the Lost Cows of Lillooet, by Nathan Lee and Matthew Thomson installed along Lonsdale Ave. that are part of the city’s stormwater management. Whatever the Weather – public art along the Green Necklace. 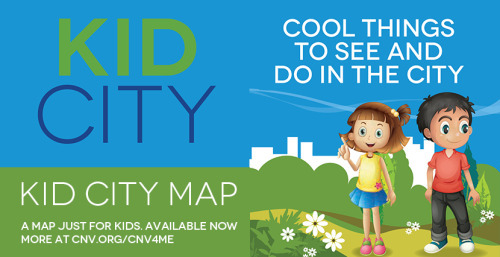 Last summer, the City produced a KidCity Map which was an invitation to it’s youngest citizens to get out and explore the City by foot, bike or transit. 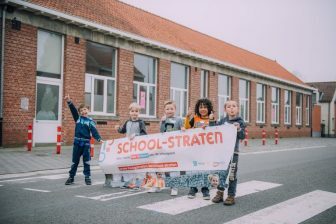 Initiated by Linda’s motions to council, safe routes to schools are another city priority with the “Look, Think, Go” campaign for sharing the road. The City has an official Memorandum of Understanding with the School District and educational materials have been developed to support safe routes to school. When planning new sections of pedestrian networks, City staff are moving beyond consulting with adult citizens and are engaging with the elementary and secondary students whose walk or ride to school would be along potential new routes. The City of North Vancouver is planning a major area-wide rezoning for the neighbourhood, a predominantly single family and duplex area east of Lower Lonsdale that is targeted for new growth. “Moodyville will be a family-friendly community. It is pre-zoned and master planned to include parks and is connected to the Spirit Trail. 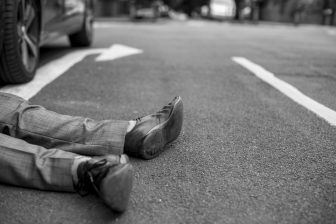 It will include compact developments like rowhomes,townhomes, low-rise condos, and even woonerfs, which create living streets as shared social spaces that are used by pedestrians, cyclists and cars,” said Linda. According to Brent Toderian of Toderian Urbanworks, who has been closely involved with the project, this is a once in a lifetime opportunity for the City. Beyond Moodyville, the City of North Vancouver is already making headways by proving to other local governments that it’s in their best interest to support families and children, particularly to live in walkable urban communities. Families who can forgo driving and access a range of amenities will stay invested in their communities to ensure that their children grow up healthy and happy. The old proverb is that “it takes a village to raise a child,” but that village often needs a champion and the City has one in Councillor Linda Buchanan. Together, they have created a progressive agenda that supports families and the healthy development of the City’s youngest citizens.